Angela Merkel receives prize for peace, says there are 'ceasefire violations' 'every day' in eastern Ukraine. "Every night there are violations of the ceasefire and every day there are human casualties," Merkel said in the central Italian town of Assisi, where she received a prize for her efforts to promote peace. "Ukraine concerns us and in the 'Normandy Format' -- which groups Germany, France, Russia and Ukraine -- we try to get the Minsk (ceasefire) accords respected." 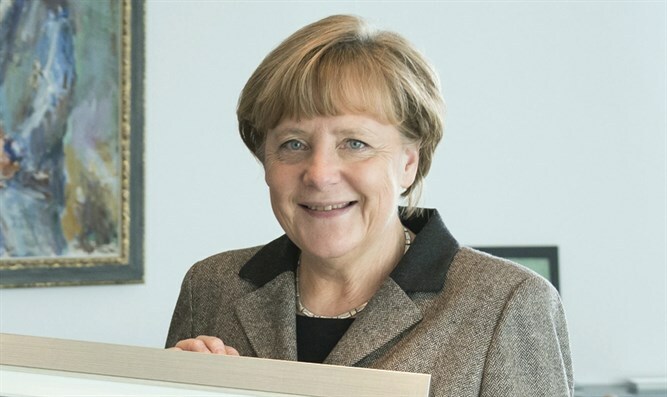 Daughter of a Protestant pastor, Merkel was awarded the Peace Lamp of Saint Francis prize by Franciscan monks for "her work on reconciliation, promoting peaceful coexistence between peoples." Merkel also spoke about the rising tensions between Iran and Israel in Syria, saying the situation had become worse since the US withdrawal this week from the Iran nuclear accord. "We are following what's happening between Iran and Israel taking into consideration Germany's commitment to the security of Israel," she said. She is scheduled to meet later with 300 young people from 37 countries including some refugees from Syria's civil war.